Every eighties Metal fan will get know this album as is probably the case with their previous one, by heart. It seems Rock and Metal music is all about recycling these days. Almost every new album coming out now is some kind of a throwback to the past... or so we're told. Too often the acts labelled as "classic" or "retro" verge on the edge of being counterfeit and this kind of thing is hardly palatable, if at all, by original fans of the genre. However, there are noble exceptions to this rule, such as the contemporary French response to the glory days of NWOBHM named Existance. Two years after their first full-length album 'Steel Alive' was released, the band is 'Breaking The Rock' with their sophomore effort. First seconds into the album and everyone's allowed to fast-forward the mild acoustic intro so as to get to the very essence of Existance's new album. Once you do that, it becomes obvious there's no change to their stylistic choices since the release of '...Alive'. This fact alone is undoubtedly good news for every fan of what Rock scribes famously dubbed NWOBHM. Just try the opening track 'Heavy Metal Fury' with its powerful vibe, twin guitar attack and Rob Halford-esque vocals (not to mention wonderfully clichéd lyrics). The French quartet remain as far as possible from slowing down throughout the remaining nine songs. What they do instead is to combine Speed Metal-induced riffs ('Honest', 'Deserve Your Love', 'Marilyn (Icon Of Desire)', 'In The Name Of Revenge') with choruses crafted only to be chanted by thousands of hoarse head-bangers ('We Are Restless', 'All Is On Fire', 'Breaking The Rock'). No wandering off the beaten track allowed – from the album's first main track to the very last one offering, it's all straightforward, rough and guitar-laden. 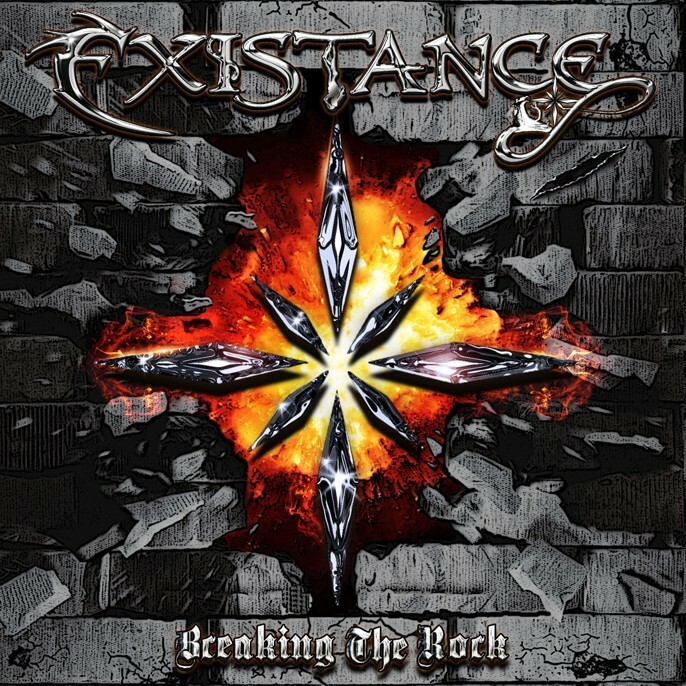 An immediate sequel to their deservedly acclaimed 2014 album in many respects, '...Rock' will not disappoint those who associate Existance's stylish silver logo with a generous slice of that classic Heavy/Speed Metal sound. The French denim-and-leather-clad four-piece goes against the tide once more, bringing back the best of the genre's past rather than attempting to modernise it. 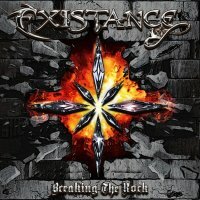 Does 'Breaking The Rock' make them a serious threat to some of their older counterparts or even their own music heroes? To some extent, yes, but it's even more likely that every eighties Metal fan will get know this album as is probably the case with their previous one, by heart.